The second best part of being a season passholder for the Cambridge 5K race series? All of the races are within a mile of my house. The first best part of being a season passholder for the Cambridge 5K race series? 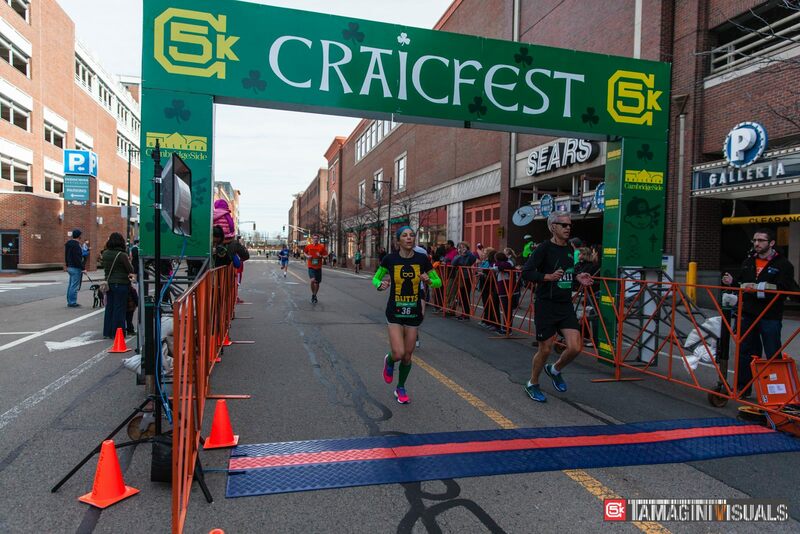 I've been running informally with the Slumbrew Happy Soles at their brewery group runs since September, but Craicfest 2016 was only my second official race as part of the team. 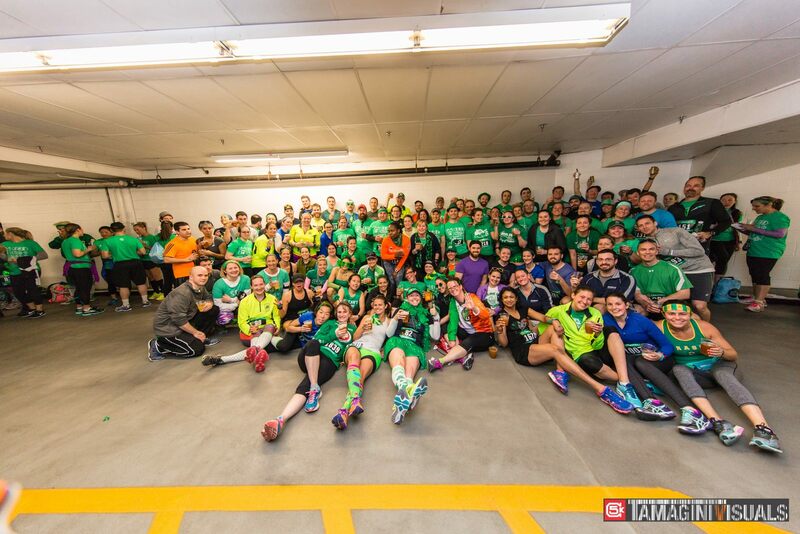 If you're living in the Camberville area and looking for a group of wonderful people to run with, definitely check out one of the Slumbrew's bi-monthly group runs out of American Fresh Brewhouse Boynton Yards or Assembly Row. And sign up for the Freedom Run as part of the Slumbrew Happy Soles team. The Happy Soles are welcoming, easy-going runners and they know how to put on a great post-race party. 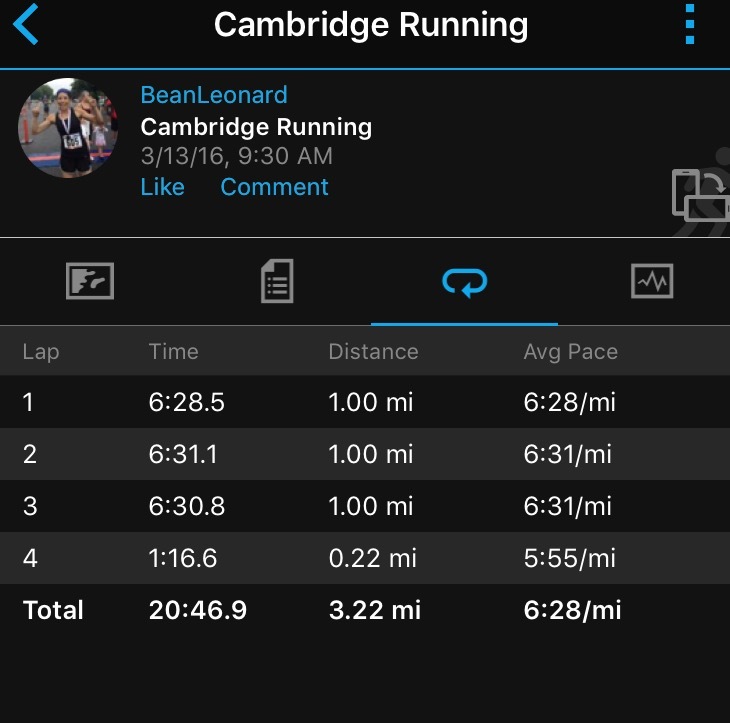 As for the race itself, it was everything I've come to expect from Cambridge 5K races: Well-organized, on time, great course, ridiculous after party. On the morning of the race, I warmed up by running over from my apartment to the Cambridgeside Galleria, where the race started and finished. I checked my backpack, showed ID to get my hand X'd for the after party, and found my loved ones to wish them all luck. 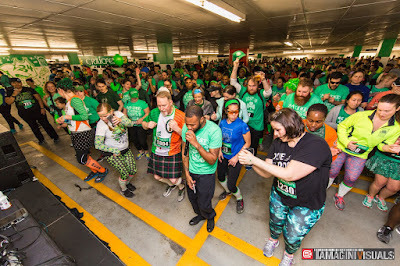 I'd looked ahead at the location of the starting line and expected there would be a sizable crowd forming at the corrals, so I ran around the next block to cut off the crowd and squeeze myself into the front of the corral. The start directly faced Centanni Park, which just so happens to be where I got married. The gun sounded at 9:30 am sharp. I took off with my mind fixed on running hard effort but maintaining an even pace. Last year the race was re-routed due to the unprecedented snowfall, so this was my first time running the actual Craicfest course. It was a unique 5K course and it ran through my favorite park! 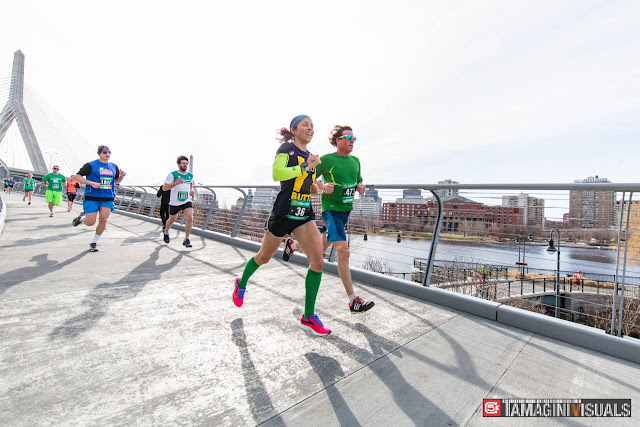 After starting with a quick loop back past the mall, we crossed the Gilmore bridge from Cambridge into Charlestown and passed the first mile marker. 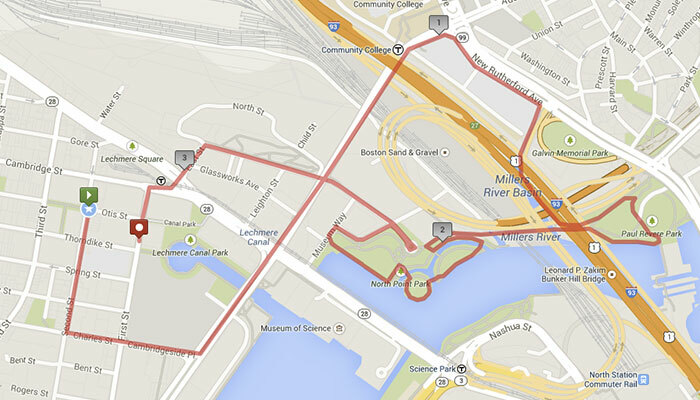 We made our way under the Zakim Bridge along a foot path and did a lap around Paul Revere park. I was slightly unnerved watching frontrunners already crossing the pedestrian bridge back into Cambridge, but I felt strong. I followed the fast runners over the bridge--the only "hill" in the race--and into North Point Park, where we passed the second mile marker. 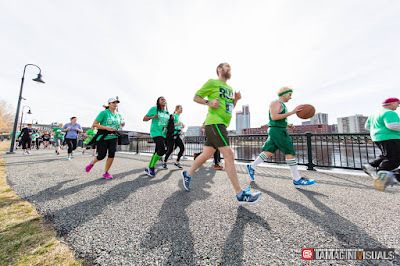 Despite the park portion of the course being relatively unmarked with many twists and turns, the race volunteers did a great job directing us around and I never felt confused about where to go. The skyline views were the best. North Point park is one of my favorite places to spend a lazy afternoon, and I had visions of summer picnics while we ran through here. 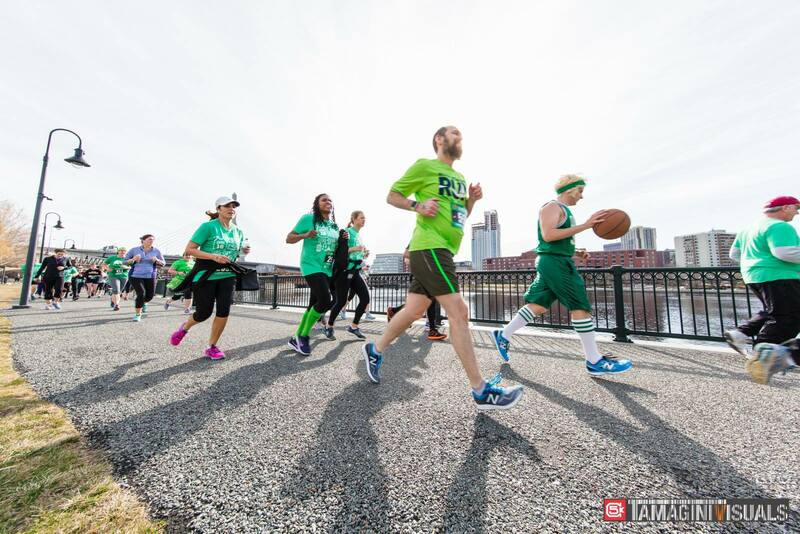 Larry Bird dribbled his basketball all the way through the 5K race. With a little over half a mile to go, two women caught and passed me. I was still running hard, and kept them close in sight, but couldn't quite catch back up. We made our last turn onto First Street. My legs gave an auto-pilot final push. I crossed the line and grinned at my step mom, Missy, who called out, "You were the fifth woman!" And so it was! 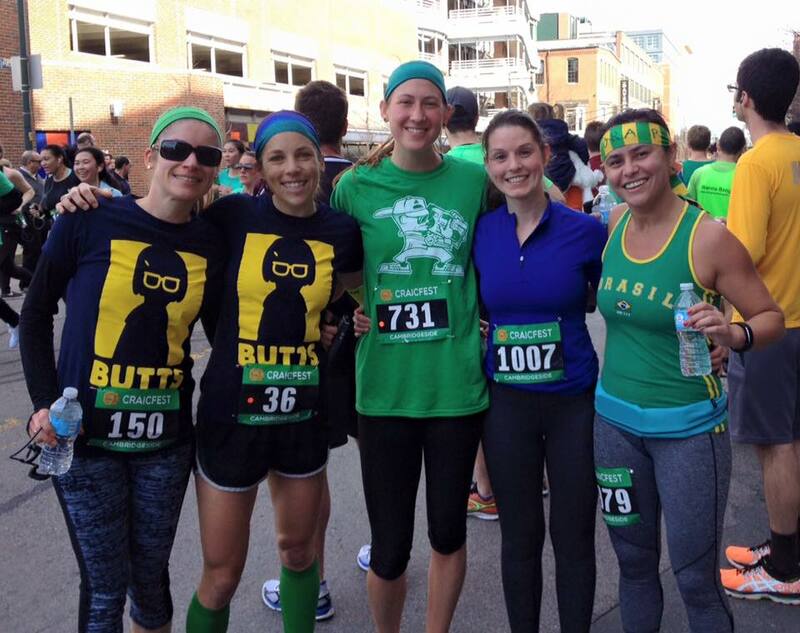 With a time of 20:39, I had finished 5th overall for women. So...where were all the fast women? Don't get me wrong. I'm very proud of my time, which was only a few seconds off my PR. But 20:39 is rarely a fast enough 5K finish to place a woman in the Top 5. Well, it turns out the fast women had chosen to run the Ras na hEireann USA 5Km down the road in Somerville. 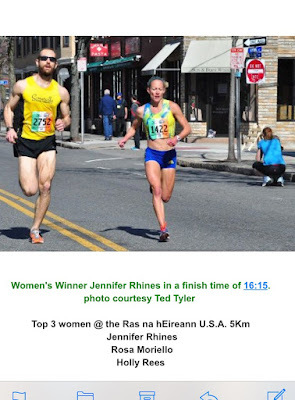 The 5th place woman in the Ras na hEireann USA 5Km finished in 17:35. Yup. That's more like it. But, relatively speaking, my race was great and I loved it. I was especially pleased with the fact that I ran even splits. 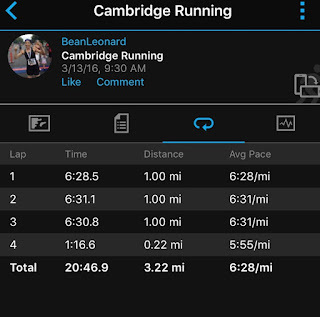 I am a notorious positive split runner, and I've been working hard to change that in my current marathon training cycle. 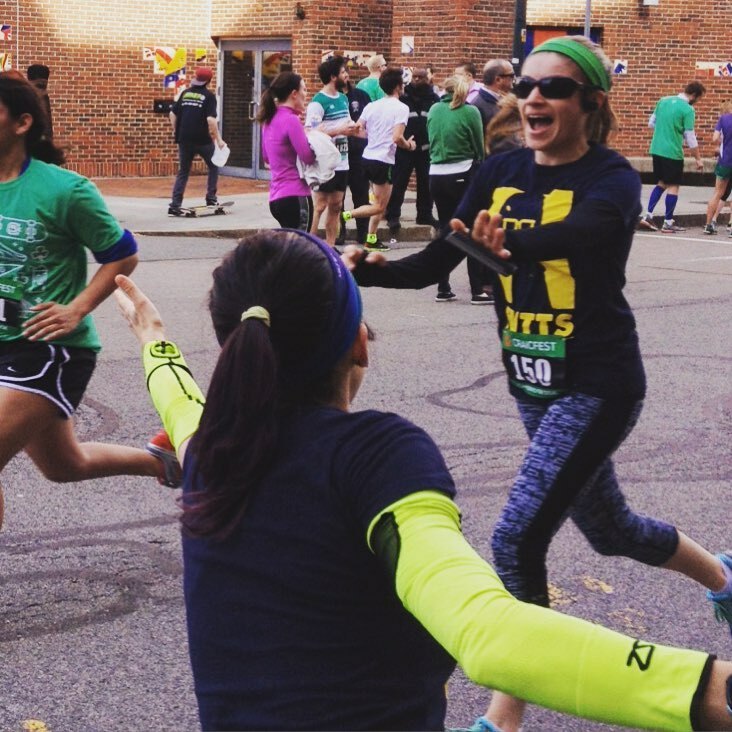 After catching my breath, I took tremendous pleasure in cheering on my family and friends. My dad was in town to help my sister settle in her new apartment. I tricked him into running the race. He finished in 28:25, like a total badass. 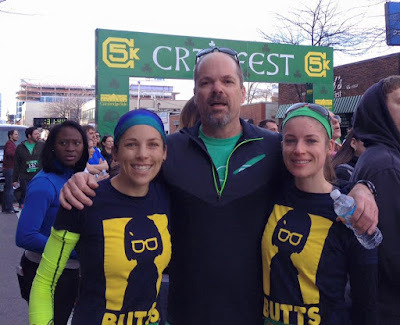 I know he was so proud to be photographed at the finish line with his two adult daughters wearing Tina Belcher "BUTTS" t-shirts. We wasted no time getting ourselves to the post-race party inside the parking garage of the Cambridgeside Galleria. We posed for our requisite Cambridge YMCA team photo. And squeezed in with the fantastic, enormous Slumbrew team. And we partied. Because 20 minutes of running earns at least 2 hours of partying.